By creating a schedule on LasVegasGuestlist.com, FreeVegasClubPasses.com and ChristopherHornak.com, you are agreeing to the following Terms and Conditions. A proper valid ID stating the legal age of at least 21 years of age is required. Proper dress code is also required. LasVegasGuestlist.com, FreeVegasClubPasses.com and ChristopherHornak.com is not liable and assumes no responsibility for the actions of its clients and not be held liable and assumes no responsibility for any damage, loss, or theft of personal or private property. Any legal action brought against you or the individuals in your party, relating to your or their conduct, is your responsibility. This includes disorderly conduct, physical or verbal assault, theft, narcotics (including possession, sale, or use) or drug paraphernalia, and vandalism of property. 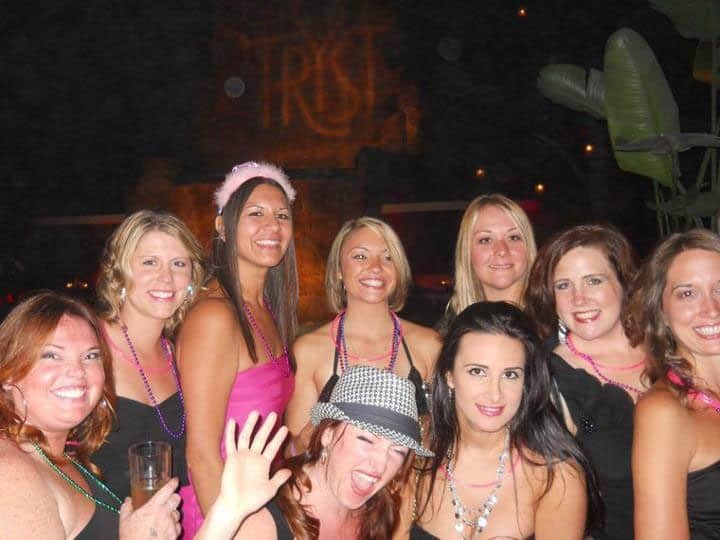 LasVegasGuestlist.com, FreeVegasClubPasses.com and ChristopherHornak.com acts as an Agent on your behalf and will not be held liable and assumes no responsibility for any actions of its third party constituents and for any loss, theft, damage or injury that occurs while you are using its services or any of its third party constituents. LasVegasGuestlist.com, FreeVegasClubPasses.com and ChristopherHornak.com does not guarantee the services provided by its third party constituents. In the circumstance where LasVegasGuestlist.com, FreeVegasClubPasses.com and ChristopherHornak.com cannot provide services, every attempt will be made to transfer services to another venue. Ads this is a free service LasVegasGuestlist.com, FreeVegasClubPasses.com and ChristopherHornak.com will not be liable for any changes or cancellations of its services. These terms and conditions are governed by the laws of Las Vegas, Clark County and the State of Nevada. Any disputes will be resolved in accordance with the laws of the jurisdiction and in the courts of the above mentioned districts. These terms and conditions are subject to change without notice. Please check back often. By submitting a form on LasVegasGuestlist.com, FreeVegasClubPasses.com and ChristopherHornak.com, you agree that you may receive emails and text messages from time to time until you opt out or unsubscribe from communications. Chris thank you for everything! We had an amazing time at 1Oak. The line was super easy and the staff was very nice! As Las Vegas locals, we can't wait to reach out to you for all our future nightlife needs! Chris, amazing service!!! We have to confess that when we ordered the free VIP passes from your site we were a little bit apprehensive. But we gave it a shot. And WOW! We were surprised when the front desk from our hotel in Vegas told us that we had mail. We went to get it and VOILA an envelope from freevegasclubpasses with the tickets that I ordered and plus extras ones for other clubs. We went to the club and everything work out fine. 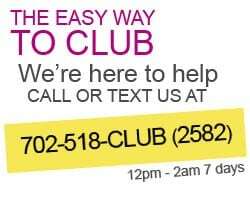 We would recommend your service to everyone and we encourage everyone else looking to have a great nightclub experience in Las Vegas to do the same! Many Thanks!!!! We had a great experience. The Venus Pool was beautiful, and we really enjoyed the Ghostbar! Thanks for all of your help. You made it really convenient and easy to explore Vegas, and helped us save a lot of money on entrance fees!! I'm not a person that is easily impressed, but I think you may have changed that. From our initial communication up through the day following my night out, you have been spot-on. You responded to every text or email and answered every question, and usually very quickly. I don't know how else to thank you. I see you have St. Jude's as a favorite charity. I have been a long time giver to St. Jude's so I will do so again and email you a copy of my contribution. Also, I gave you a review on Yelp. I think I maxed out the stars. Thanks for an amazing weekend! Already wrote a yelp review. Here's a pic of us on our way to Light Couldn't have asked for a better way to spend our one year anniversary together. What a great weekend and can’t thank you enough for a great service. Looking forward to the next trip already! Thanks a bunch for everything Chris! Chris, On behalf of the four of us, I would like to thank you for everything you did for us on our trip!! I have been to Vegas but never had as much fun as we did on our trip this past weekend!!! I honestly still don't believe that our trip was real! We were treated like rockstars everywhere we went and we have you to thank! We have already recommended you to a few other groups and will definitely be contacting you when we return in June. Thank you for everything you did for us! Everything went great! We were a bit skeptical at first, we just couldn't believe that we had many privileges with a simple text! Thank You so much, we had a great weekend!! Hey Chris, We had a great time celebrating my 30th bday!!! And you guys were very professional/accurate and timely!! Every single guest list that we signed up for we had no problem getting into the clubs AND through the VIP line! Hey Chris!!! Everything went great!!! We had a blast in Vegas and the Rooftop Party at the Palms was AMAZING! Seriously thanks so much for hooking us up, it was a great night with your help :) A+ review! Thank you for everything! I really appreciate the service you have provided. You were on point man! At Tao hanging outside on the balcony, what a view! Great times! Thank you for the best Bachelorette Party weekend. We used your services to get into the clubs at the Palms and at Pure. Both nights the wait was not even 5 minutes long and we got free drinks. There were over 200 people in line at Pure and we were definitely VIPs. The coolest part is it was all free. I am a local and will definitely be using you again. Your awesome. Thanks again. Words cannot explain how appreciative we are, thanks again & looking forward to next time!! Chris Hornak & his team is the absolute best, they got us into all of the best & hot parties with no cover & free drinks for the ladies...I wouldn't use or contact anyone else whenever I'm in Vegas! The best service, quick response & was willing to change to a different spot late in the day!! Thanks for everything!! I absolutely loved your services!! You were so quick to respond, so easy to use, and you really saved me a lot of money and time! You were so helpful when my friends were being flaky and when my plans changed. Thanks for making my 21st birthday unforgettable! Last winter went to Vegas with my friends and Chris got us on the guestlist for the clubs we wanted! 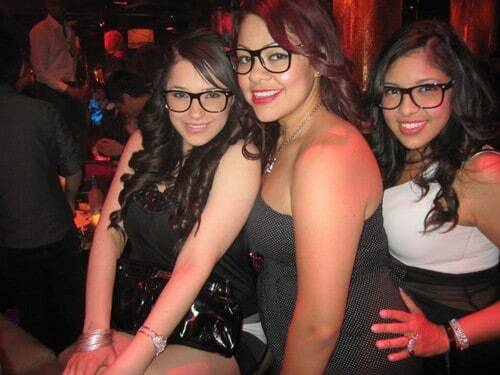 We partied so much and had a blast in Tao, that wanted to change $60 for us but with Chris' help, we got in for FREE!!! This was the second trip that I used your service. Your communication is awesome! The caesar's pool party was the only event that we did not enjoy. It wasn't lively at all. I always recommend you guys to my friends visiting vegas. I can definitely write a review for you all. Thank you for the hookup during our stay! It was great to get into Tryst quickly and for free, and the free drinks were of course fantastic! We arrived at LIGHT a little too late to use your hookup another night...but that's our own fault. Thanks so much for making Vegas more easily accessible and fun, we'll definitely use you again! Dude, you are awesome! One of the best trips to vegas so far! I will definitely use your services on my next trip. Thanks for the good time! Writing you a review on Yelp now, TOP NOTCH job! So impressed!! Hi Chris, me and the girls just wanted to say thanks a lot for putting us on your guest list, we had an awesome time, really appreciate it and would recommend it to all the friends . Once again thanks! 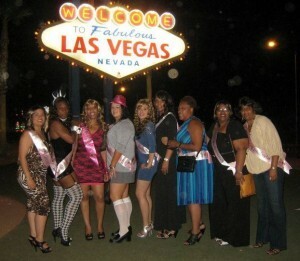 here is a pic of our time in Vegas! Also left a comment on your facebook. Thanks! Thanks so much, we had a blast. Definitely using your services next time we come to vegas, we really appreciate all that you did for us. We left a great review on yelp! Thank you for a great week. Entrance to the club was easy, minimal wait and ladies drank free for an hour! I will definitely recommend you to friends! Thank you so much for everything!! We had the greatest time and I was thouroughly impressed. Next time I'll definatly have to come with a ton of chicks opposed to just one partner in crime!! 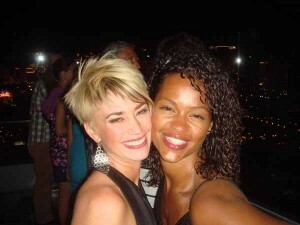 Attached is a pic of my friend and I happy as can be at Ghostbar!! What a weekend indeed. I would just like to start off by thanking you for helping make this past weekend great for me and my old college roommate. We had an awesome time. We went to Rain at the Palms and The Bank at Bellagio. We had no trouble with telling them our names and getting in the door. The text and email communication was excellent with direction on telling us where to go and what to say once we arrived at the club. 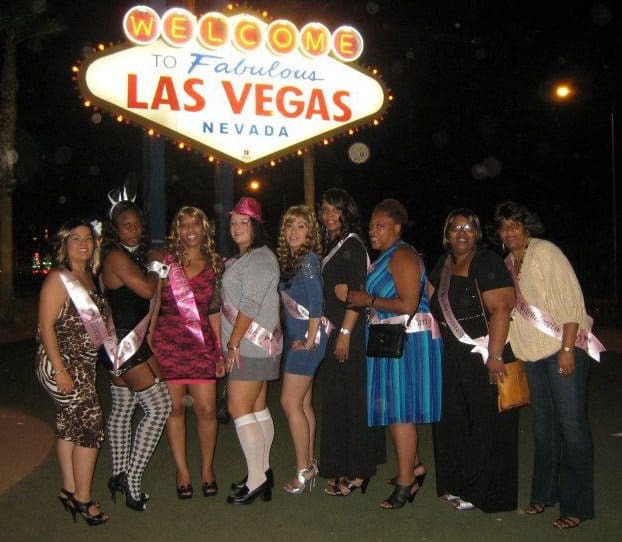 We really appreciate your service and will be telling everyone we know who comes to Vegas to use you. Keep it up and thanks again. Hi Cris, The services were awesome! I was a little skeptical, but was I surprised the passes worked!! Thanks for sending me reminders and being on top of things for getting us there on time!! We had 3 birthdays in our group and I wanted to surprised them and they were surprised on how easily it was to get into the clubs/bars!! We all enjoyed the night at Ghostbar (breathtaking view) and Rain (hyped music)!! I would be using this services again!! Thank you so much for the Vegas experience!!! We had so much fun the pool party was my favorite and the night life was just amazing as well when I come back in August I will def reach out to you guys again !!!!! Everything was fantastic! I was very impressed by your customer service with texts and emails and pointing us in the right direction. We had a great time at ghost bar and had no problems getting in! Thanks again! Not sure if I reply to this email or not, but wanted to say it was a fun and memorable weekend!!! 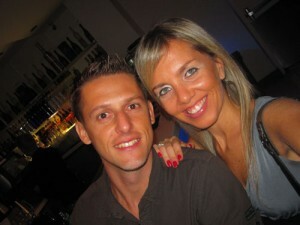 I loved Ghostbar!!! I think even if we didn't get the table service it still would have been fun!!! I think they should have a line for people that use your VIP guest list services though so we don't have to wait in line because it was a long line to get to the elevators if we didn't get the table services!!! Otherwise we all had a great experience at Ghostbar!!! I considered going there again after being at Tao!!! I think Tao is a much more younger crowd and it was way crowded and hot in there!!! I really didn't like Tao! But thank you for responding quick when I had questions or concerns and thank you for always being available!!!! I will write an awesome review for you and use you in the future!!! Thank you again! This was my first time looking for free pass websites for clubs and i was a little skeptical but Chris made me feel as comfortable as possible. This company is legit and customer service skills are bananas (excellent). I can't wait to return back to vegas to give them another call . Chris you Rock - Vegas Baby !!!!!!!!!!!!!!!!!!!!! We had such a great time and thanks for making it possible. Every club we visited or show that we attended. We appreciate your response time and you made it happen for us. It was awesome thank you . I'll def use the service again . And for sure I will donate too a Charity it's the least I can do you saved me a bunch . Had a wonderful time!!! Thank you! Will definitely Yelp & put a pic so ot can be used! I've already referred my friends's godbrother & one of my friend's friends who will be going soon Then i got another friend going in November & ive told her about you! I should be your Representative in Chicago! Lol I was on your guest list 2yrs ago & was so delighted that you are a legit promoter!! Thank you & can't wait to go back again!!! 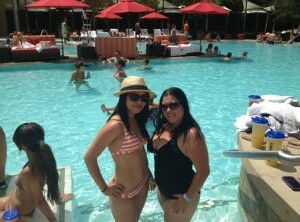 Hey Chris this pic is from last weekend for my b-day @ Palms Pool - Ditch Fridays. Thanx so much for getting us in free with a free drink ticket! I'm going again this weekend coming up for my girls b-day too. I'll be using your guestlist again for the Palms pool and clubs! Thanks again time and time again! This was my 4th time with free Vegas club passes and Chris never disappoints! We went to Liquid Pool, Venus Pool, The Bank and XS and had an amazing time! I always recommend Chris to EVERYONE I know as soon as I find out they are traveling to Vegas. Thanks again to Chris and his team, you are simply the best! Thanks for everything Chris! We enjoyed the club Tao at the Venetian very much!! I appreciate you getting us on the guest list!! I will definitely call you the next time we plan to go out to Las Vegas. Thanks for the free entrance bro. We had the best experience in Vegas thanks to you. Next time I'm out the there I'm definitely hitting you back up bro. Thanks again. Thank you! Everything went smoothly. There were no hidden catches and we got whatever we were promised. This was my first experience with promoters as I don't party a lot and I was impressed. Would definitely recommend your services! We had a great time!!! Yelp review posted and everything was great. I didn't make it to some places because of some changes in plans, but otherwise I never had any issues and things went smoothly. Your website makes things super easy, which I loved, and your reminder texts were also extremely helpful. I don't know if this is even possible, but the only thing I'd say is continuing to expand the options for which clubs/events customers can choose for each night. Otherwise, in terms of customer service, you guys are great. Thanks! 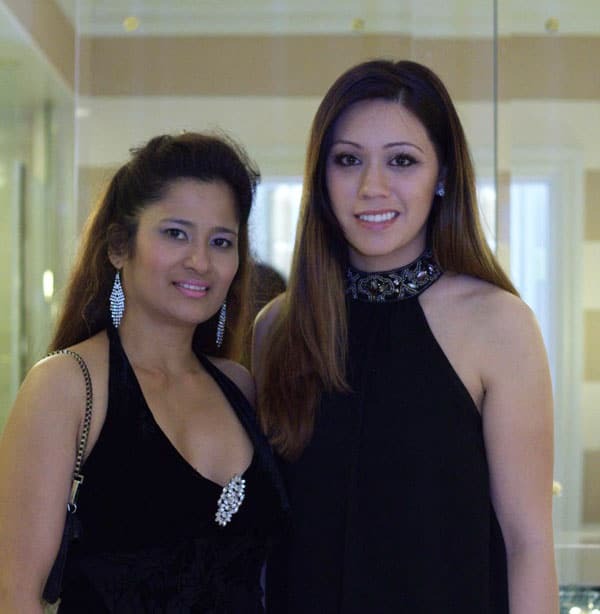 Thank you Chris for such a wonderful weekend i cant wait till we return to Vegas again and i will be sure to leave a good review and also i will recommend you to many people that i know that will be visiting Vegas in the next month. Once again thank you so much for accommodating us on our trip to Las Vegas we had an amazing time and a good sunburn. I’ve used you guys for 5-6 years now. I love you guys J In July my crew of 8 partied hard and LOVED it? Light with DJ Mustard was the BEST!! Do you plan on getting Drai’s and Omnia by the summer of 2016? I’ve been plugging you guys big time on Trip Advisor message board for all the rookies who don’t know where to hang. My weekend experience was amazing. I was very satisfied with hardly no wait time in the VIP Guest list lines. I appreciate the constant communication and reminders and the fast replies when I had questions. When I come back to Vegas I will definitely be taking advantage of your services again. I was pleased with all the Clubs and Day parties as well. This is the 10th time I've booked with Chris and I've gotten the same excellent service from beginning to end. I'd recommend them to ANYONE visiting Vegas that wants a seamless nightlife experience! Hi Chris, I had a great time in Vegas thanks to you. I will definitely be writing a review on yelp and will be recommending you to everyone I know traveling to Vegas. Thanks for everything ..... Everything went smoothly in terms of getting into the clubs with the list. Only suggestion I would make is the provide a list of events for the time period the person will be in Vegas ... But had we had a great time. Will write the review. Hey Chris I just wanted to say thank you for last night. I had a great time Susie was very nice. Here is a photo with my group. thanks again for arranging the guest lists. We did have a great time at the clubs and we appreciate all your help. The highlight was for sure the nightswim at the XS! the vibe was good and a great experience all together. I will definitely keep your information and let you know when we return to Vegas. Looking forward to some more fun! AMAZING!!!!! I'll definitely recommend to All my friends!!!! You guys were very efficient, which was impressive. Thank you!! It was a great weekend. Thank you for all your help. Can wait to do it all over again. I had a blast !!! Ill be sure to send pictures as well as post a review !!! Thank you so much you really made my birthday weekend one to remember , we were able to enter clubs with no problems and i loved that everything was perfectly scheduled i had the time of my life !! Thank you again i really appreciate it and youll definitely hear from me and my group when we return to Vegas !! 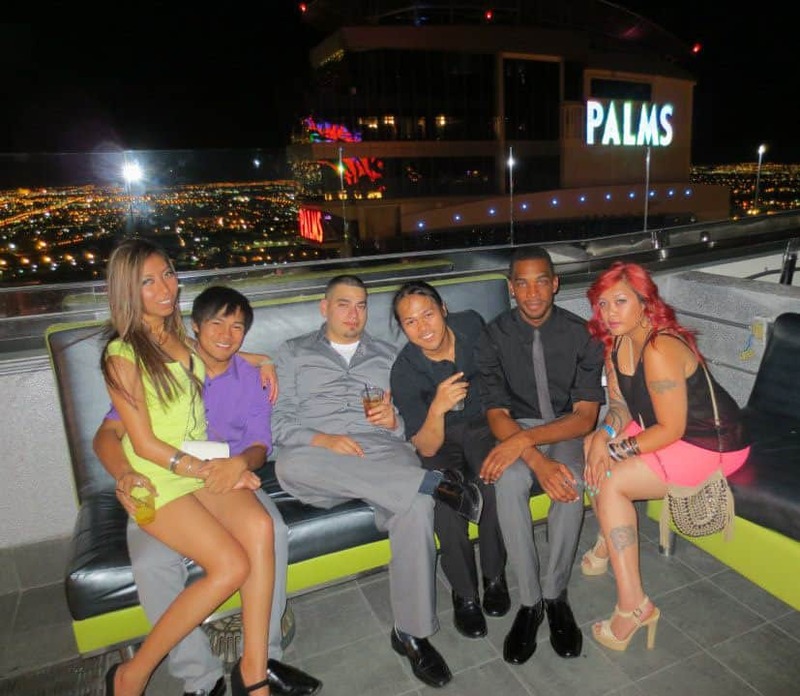 FAQ | Testimonials | Clubbing Tips | List of Las Vegas Clubs | Terms & Conditions. © 2005 - 2019 Hornak, Inc. All rights reserved.